one of the first techno songs? last year I posted something about how I first got into electronic music; one of the songs I mentioned was this one, Information Society’s Running (Instrumental Version). I thought I’d elaborate on that post here, simply because I feel Information Society’s instrumental version of Running was a truly groundbreaking song. I still remember hearing this song in Toronto during the 80s and being quite blown away by it – there was nothing much like it at the time. I also remember subsequently hearing the “true” version of the song (with lyrics) and being horribly underwhelmed. To my young mind, the magic of the song was lost once they started singing overtop of it. I’m wondering if Information Society (or someone else) were to make a version of this today, how well it would perform in the clubs. It would need a better drum kit – a deeper kick, some better compression, and some cymbal sweeps – and a more thorough bass sound, but with a little work I think this song could bring people to the floor in clubs today. Heck, it probably could right now, as it stands. I have neglected to mention why I named the songs I’ve made so far on this site, the names I’ve given them. Globules is a space-themed song, complete with an audio sample of Alan Shepard’s moonwalk from over forty years ago. I named this song after Bok globules, dense clouds of dust and gas that are some of the coldest objects in the universe. I’m big on astronomy, and thought the name rather fitting. Bobbins, of course, are spindles, often holding yarn, wire or film. However, Bobbins is also a British term that indicates that something is junk (though I guess the British would call it “rubbish”). When I first started creating Bobbins I didn’t find it that good, and named it as such. It progressed from that point, but I kept the name. There is also a character from the Oz books named Betsy Bobbin, for whom I did not name the song, but she comes up when you do a wiki search, that’s got to count for something. I used to think that the younger generation had a bit of an edge when it came to making electronic music. They have the spirit of youth, a good grasp of technology, and more than anything, lots of time on their hands! A lot of producers seem to be in their low 20s, and producer profiles on Last.fm often tout the amazing things these young hotshots have done at such a young age. And I am indeed impressed. lately, however, I’ve started to think a bit about the other side of the coin. With age comes experience; not simply time spent figuring out how to produce, but also the experience of simply “being there” – growing up listening to certain genres of music that can formulate the kind of tunes that you eventually create. In my case, I grew up in Toronto during the 80s listening to (what else?) 80s pop music. When I got a bit older I started to get into Chicago house music (something that I still enjoy) and I was huge into mixes of the Hot 103 (and then Hot 97) dance party sessions that my friend Phil recorded and brought back from New York City every couple of months. I never set foot in Studio 54 or Emerald City, but I still have some old cassette tapes with some fantastic dance mixes spun in those clubs. I can still remember the first time I heard a techno song; or something like it, anyway. 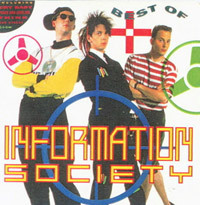 It was Information Society’s instrumental version of Running, which I to this day feel was way ahead of its time. That genre of music didn’t really have a name back then, so in my youth I called it “Space Music” for lack of a better term. When techno started to flourish I was on the cutting edge of that. When the rave scene first broke out I went to a few raves, and what an era that was. I spent most of the 90s listening to bands like Orbital, Aphex Twin, Autechre, Drum Club and Underworld. I missed the disco scene of the 70s, but I wonder what sort of attitude experiencing that culture would have brought to my music. Or if I could go further back, to the early days of electronic… what kind of an upbringing would that have been? I have great respect for those who are making electronic music well into their 40s and 50s… what experience and breadth they must have! 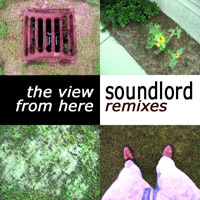 I’ve set up a Twitter account, soundlord (I also set one up on Identi.ca), where I can microblog snippets of what I’m up to with my music production. Normally I use personal accounts to microblog what I get up to on a day to day basis, but I wanted to have a spot where I could post updates, and view updates from others, related to music production. that being said… I’m sure there are people who read my personal site who have no interest whatsoever in electronic music, let alone my electronic music! If this is the case, I would by no means be offended if not a single person cared to follow my music updates. Not at all. one thing I’d like to do on this site is offer up links to songs that I find inspirational, that I really like, am associated with, or that somehow helped to define who I am as a creator of music. When I link to such songs, they will be free and legal copies of songs that are available for free listening, such as certain songs found on Last.fm or on a band’s MySpace page. I hope that such links help to broaden peoples’ listening ranges, and also that my own repertoire of choice music continues to expand! I created this blog, to discuss my music. I’m a producer of electronic music, mostly minimal techno, melodic trance and progressive house. with this blog I plan to share all aspects of my work, including free samples to create remixes or to use in your own work, updates on what I’ve been up to, tour dates… that sort of thing. I am hoping it will be fun and interesting.